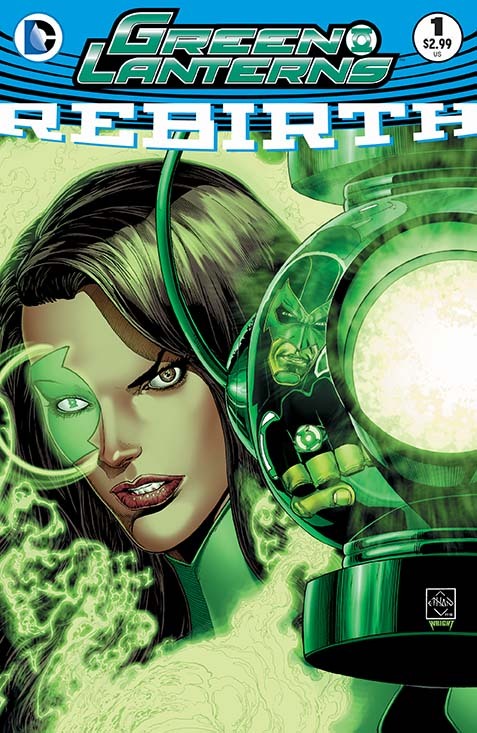 LAST YEAR DC COMICS RELAUNCHED THEIR COMICS, WHICH IS SOMETHING PUBLISHERS DO TO CREATE A NEW STATUS-QUO, BOOST SALES, OR TO FIX CONTINUITY, OR ATTRACT NEW READERS. NOW IF YOU KNOW ME, YOU KNOW I’M MORE OF A MARVEL PERSON, RATHER THAN DC, BUT I RECENTLY DECIDED TO JUMP IN ON READING DC, BECAUSE IN THE PAST, I’VE TRIED READING DC, BUT MOST OF THEIR COMICS WEREN’T GEARED TOWARDS NEWER READERS, BUT THE NEW RELAUNCH DOES ALL OF THE ABOVE AND IS ACTUALLY HAS SOME OF THE BEST COMICS I HAVE READ IN AWHILE, I’LL ALSO BE REVIEWING MARVEL’S 2015 RELAUNCH SOON AS WELL. 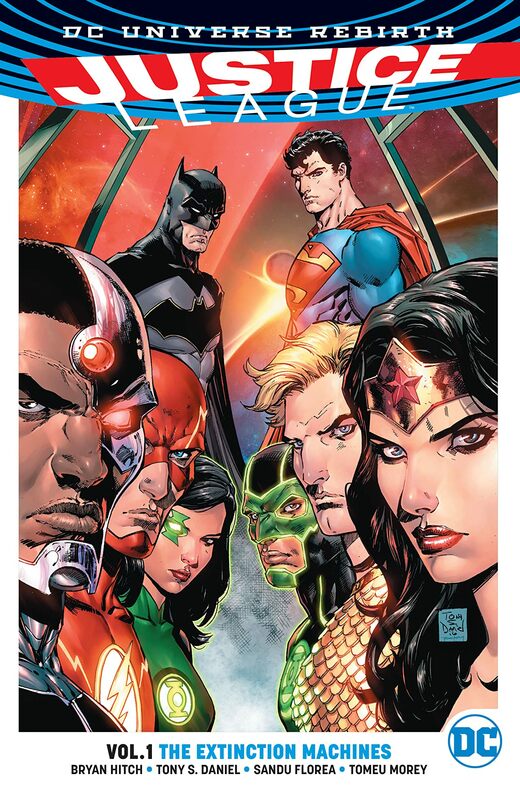 THIS IS A MUST-READ TO UNDERSTANDING THE NEW DC COMICS, AND A REALLY GOOD JUMPING POINT FOR NEW READERS. 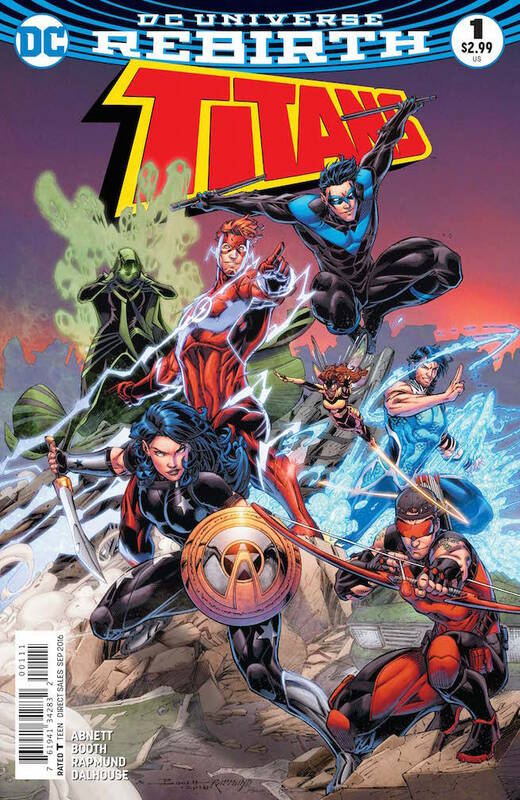 I’VE BEEN READING FLASH COMICS FOR A LONG TIME, NOW, INCLUDING ALL OF THE NEW 52 ONES, AND THE RELAUNCH TAKES WHAT’S GREAT FROM THE NEW 52 AND MAKES IT BETTER, THIS IS ALSO ONE BOOK THAT IS ABSOLUTE MUST-READ AS IT TIE’S IN TO DCU: REBIRTH, AS WELL AS TITANS AND BATMAN. THIS BATMAN COMIC REALLY, ACTUALLY, HAS WHAT I’VE BEEN LOOKING FOR IN BATMAN COMICS, YOU SEE, I CAN’T READ THE NEW 52 OR MUCH OF ANY BATMAN EXCEPT THE CLASSICS, CAUSE IT’S JUST TO DARK, BUT THIS SERIES SHOWS A LIGHTER BATMAN THAT’S STILL REALLY COOL, ANOTHER MUST-READ THAT TIE IN TO DCU: REBIRTH, AND EVENTUALLY THE FLASH, AS WELL AS ALL OF THE BAT-FAMILY COMICS. 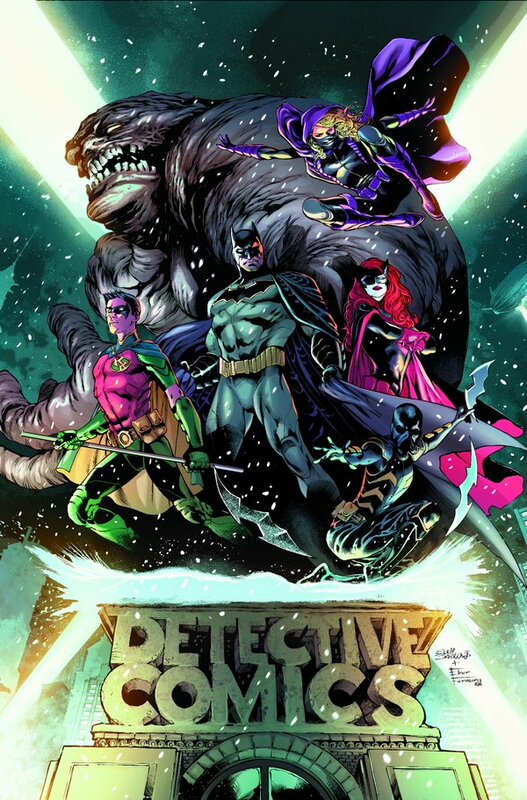 DETECTIVE COMICS IS A BATMAN SERIES, IN WHICH WHERE BATMAN, AND BATWOMAN (DISTANT COUSINS APPARENTLY), TRAIN ANEW TEAM OF BAT-FAMILY HEROES. I READ THIS BOOK THINKING I’D STOP READING AFTER THE FIRST FEW PANELS, YOU KNOW, CAUSE IT’S SEEMINGLY A TEAM OF ALL GIRLS, BUT THIS BATGIRL COMIC IS ACTUALLY GOOD, AND IS FUNNY AND ACTION PACKED. ANOTHER GOOD BOOK STARRING THE FORMER ROBIN, TURNED ANTI-HERO RED HOOD. SLOPPY-LOOKING ART, AND BORING STORYLINE WITH A FAN- FAVORITE CHARACTER THAT I, TO BE HONEST, STOPPED HALFWAY IN IT’S REBIRTH ONE-SHOT, IT WAS BORING. EVEN THOUGH TONS OF PEOPLE THINK THIS IS GREAT, THE ART IS PRETTY BAD, AND I REALLY, REALLY HATE THE RUDENESS OF THE CHARACTER, TO THE POINT WHERE IT’S ANNOYING, LIKE BB, I STOPPED IN THE MIDDLE OF REBIRTH. THERE AREN’T VERY MANY BAD COMICS IN REBIRTH. NOTE: I DID NOT READ ALL THE TITLES, HERE ARE A FEW I DIDN’T READ: HARLEY QUINN, DEATHSTROKE, SUICIDE SQUAD, BATWOMAN, MIDNIGHTER AND APOLLO, AND JOHN CONSTANTINE. NOW THAT I GOT THAT OUT OF THE WAY, DC MADE A FLAW WHEN THEY ROLLED OUT REBIRTH, YOU SEE, MOST OF THE MAIN SERIES HAVE A SPECIAL REBIRTH ISSUE THAT CONNECTS DCU: REBIRTH WITH THEIR MAIN SERIES SO BASICALLY, READ REBIRTH ONE-SHOTS, THEN READ #1 ISSUES OF SERIES. 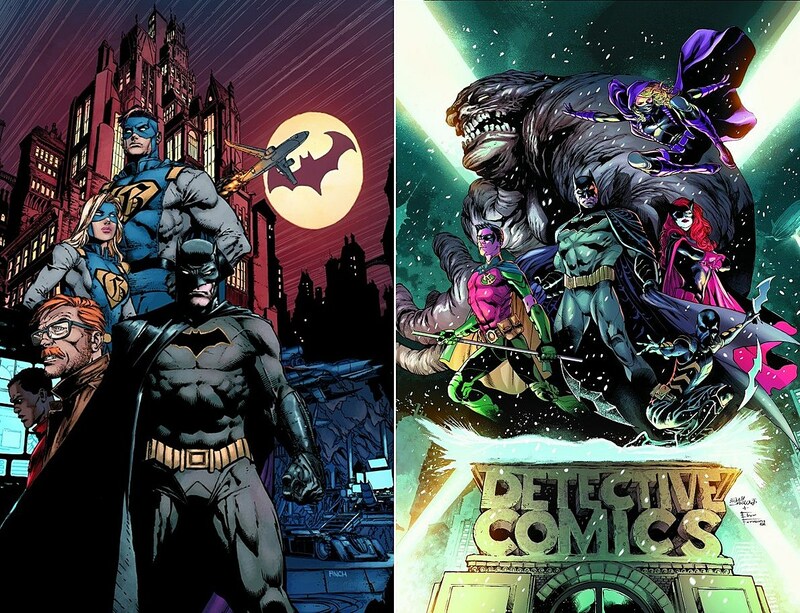 THEN READ BATMAN 1,2,3, AND/OR DETECTIVE COMICS 1,2,3.